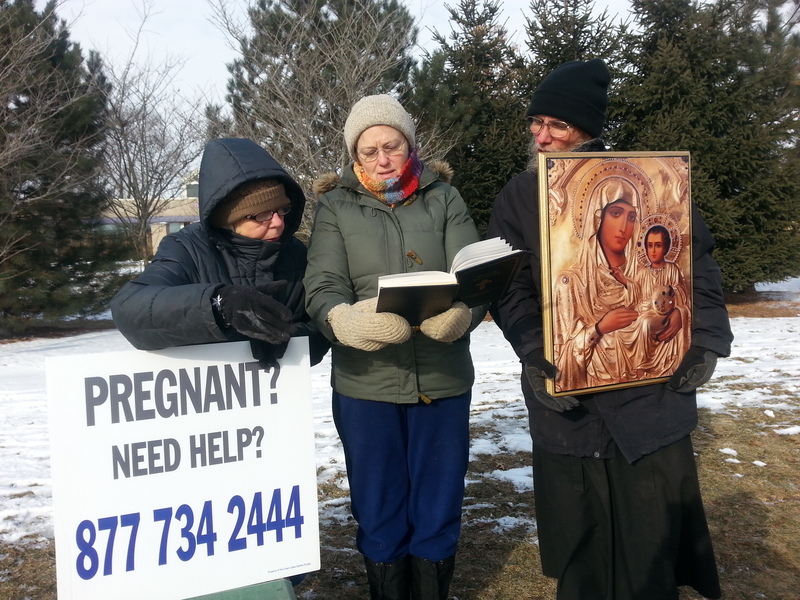 On Saturday morning, February 28th, these 4 members of OCLife braved the very cold weather to pray at the Planned Parenthood clinic to be a witness to mothers in crisis pregnancy. OCLife is signed up to pray every Saturday at 9 am until March 28th. More prayer volunteers are needed! From left to right: Mary W, Patricia and Fr. Michael with D. Rebecca taking the picture. May God greatly bless them and other prayer volunteers for their sacrifice.